Home » Save Money » What Is The Value In Buying An Extended Warranty? You’ve budgeted for it for months. Now, finally, you’re in the store, buying your long-awaited (fill-in-the-blank: dishwasher, iPhone, smartwatch, used car). “Would you like an extended warranty with that?” you’re asked. Hmmm. “Do I?” you think. 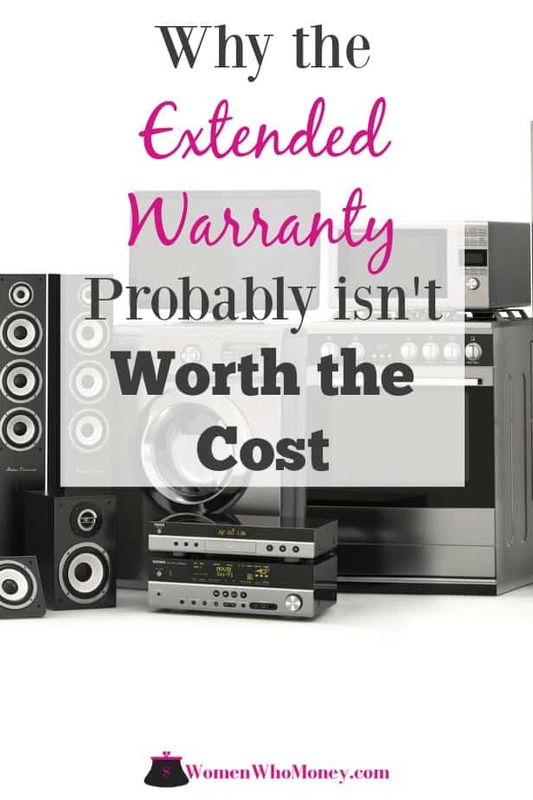 Typically, extended warranties are a relatively low-cost add-on to your pricey electronic, car, or even home purchase. So it may seem like a no-brainer to buy an additional protection plan for a fraction of the cost of the item itself. However, when we dig deeper into extended warranties, things get a bit more complicated. Warranties can add hundreds of dollars to the price of your item. And they often come with lots of fine print. This language includes which repairs are covered and where the repair must be carried out. There’s a reason why salespeople push these warranties on consumers—stores make big bucks from the sale of warranties, with huge margins. “In nearly every case,” says Consumer Reports, “it’s best to decline the offer.” That’s because extended warranties tend to cost almost or as much as an actual repair would, and most items don’t break as often as people think. However, consumers aren’t taking that advice. Extended warranties have become a 40 BILLION dollar industry in the United States alone, according to industry publication Warranty Week, with 43% of that spent on vehicle service plans. Making up the other 57% are protection plans for personal electronics, appliances, and cell phones. Extended warranties are big business for retailers. Warranty Week estimates Apple made twice as much in extended warranty sales as it cost in claims. And vehicle service plans account for a large amount of car dealerships’ profit centers, up to 38.8% of gross profit, according to data from NADA, the National Automobile Dealers Association. These “extended warranties” can provide coverage immediately, or after the original warranty runs out. They extend the warranty by one to three more years (most appliances and electronics come with a manufacturer’s warranty when you buy them, good for the first year of the product’s life). Note, many credit cards will cover your purchase for up to two years from the purchase date. So find out your credit card’s policy before thinking about a warranty purchase. American Express is particularly good with their customer protection benefits. For car service plans, warranty companies use actuarial teams to analyze the number of repairs being performed. You can bet they make sure they’re coming out ahead. The chance of you needing a costly repair, even on a used car, are slim. But if you needed to pay out of pocket, often you’d pay the same or only slightly more than the cost of the warranty. Consumer Reports found the majority of car owners were dissatisfied and found little value in their service warranty purchase. The average price of such plans ($1200) exceeded the average cost of repairs ($850) by a substantial margin. Home warranties are another type of warranty that may seem valuable up front but may not be worth it in the end. While these types of warranties cost several hundred dollars per year, peanuts compared to the cost of a major system like HVAC or a water heater, you’ll still have to pay a service call fee of somewhere around $75-$125 each time a technician visits your home. If the appliance takes more than one visit to repair, you may be on the hook for multiple service fees. Also, there’s a long list of excluded items. For example, your refrigerator may have coverage, but the ice dispenser (the part of the fridge most likely to fail) may not be, meaning you’d have to cover those repair costs out-of-pocket. Finally, if a major item, like an air conditioner, does require repair, the warranty company is more likely to authorize fixing a 20-year-old system rather than replacing it. Effectively putting a band-aid over the problem. There’s little value in that. How much will I use the product? For items you use every day, like cell phones, you may consider the cost of an extended warranty plan. Cell phone screens can crack, or get dropped in water, so phone insurance might have value if your phones tend to take a beating. What does the coverage include/exclude? Will your warranty pay for a replacement of stolen or broken items? For computer plans, does the warranty include technical support? Does the warranty start immediately, or after the original manufacturer’s warranty has run out? Is there a deductible you have to pay before coverage kicks in? Are there limits to the total repair amount the warranty will cover? Is this product likely to require repair? There are some electronics with a higher repair rate than others, including washing machines, stovetops, and refrigerators. It may make sense to consider a warranty for these items. 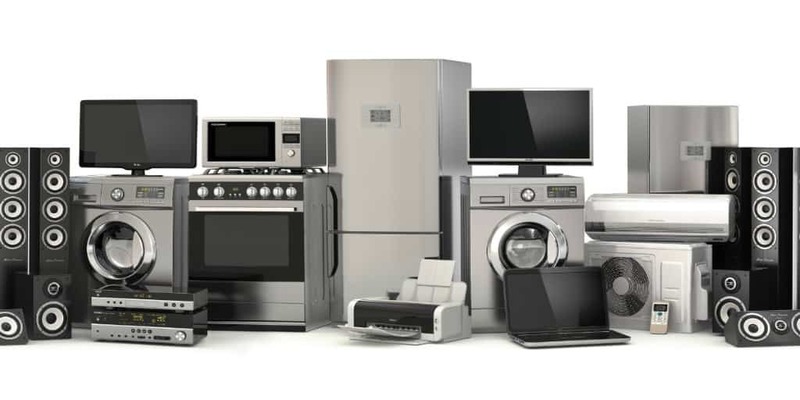 But ensure you know precisely what your warranty will cover because there may be exclusions on some parts of your appliances (like electrical panels or doors). Do I want the peace of mind? Often, purchasing consumer warranties is as much about buying peace of mind as it is protection. While the vast majority of products won’t break or cost about the same to fix as the cost of your warranty, the value comes from knowing you have coverage in the event of a catastrophic failure in a car or another pricey electronic item. Before you decide to purchase an extended warranty, make sure you understand the coverage in detail. Know what it includes, what it excludes, and when it kicks in. You may still opt-in for service warranties, even when you know, the math may not work out in your favor since you find value in the peace of mind the coverage brings. Just do your homework first so you can make a thoughtful decision. And remember, most of the time, it makes more sense to take the money you’d put into a warranty and set it aside for possible repairs and major replacements instead.